The U.S. government on Friday charged a Russian national with playing a key financial role in a Kremlin-backed plan to conduct "information warfare" against the United States, including influencing next month's congressional elections. Elena Alekseevna Khusyaynova, 44, becomes the first person charged with a crime for attempting to interfere in the 2018 U.S. elections, according to a government official with knowledge of the investigation. Khusyaynova was the chief accountant for Project Lakhta, an operation started in 2014 and funded by Russian oligarch Evgeny Viktorovich Prigozhin and two companies he controls, Concord Management and Consulting LLC and Concord Catering, according to a criminal complaint. Prigozhin and the two companies had been indicted in February in Special Counsel Robert Mueller's separate investigation of alleged Russian meddling in the 2016 U.S. presidential election to boost eventual winner Donald Trump over his Democratic opponent, Hillary Clinton. The case against Khusyaynova was unsealed in Alexandria, Virginia, on the same day that U.S. law enforcement and intelligence agencies issued a statement expressing concerns about attempts by Russia, China, Iran and other foreign groups to interfere with Nov. 6 congressional elections, in which Trump's Republicans are trying to maintain majority power in Congress, and national elections in 2020. The complaint details new examples of Russians using fake personas on social media to stoke arguments about race and other contentious issues. The examples include messages targeting next month's elections, indicating the operation has not been deterred by Mueller's indictments earlier this year. "This one shows that the threat from Russia is not over," said Barbara McQuade, a former U.S. Attorney in Michigan. "This is a true propaganda war." Using social media and other avenues, the conspiracy participants waged "information warfare against the United States," attempting to sow distrust of candidates for office and the U.S. political system, the complaint says. The complaint included social media posts that were both critical of Republicans and supportive of President Donald Trump. One post in March, for example, suggested Trump deserved the Nobel Peace Prize for his negotiations with North Korean leader Kim Jong Un aimed at denuclearization. Trump, speaking to reporters in Scottsdale, Arizona, dismissed the latest charge against Russia as unrelated to him. "It had nothing to do with my campaign," Trump said. "If they are hackers, a lot of them probably like Hillary Clinton better than me." The Khusyaynova case is not being handled by Mueller because it includes activities related to the 2018 elections, which are not part of his remit, the government official said. Khusyaynova oversaw the financial operations for the project, which had a proposed budget of $35 million for January 2016 to June 2018, although part of those funds was aimed at similar operations in the European Union and Ukraine. Khusyaynova, who is a resident of St. Petersburg, Russia, and is not in U.S. custody, billed Prigozhin and his companies to pay for advertisements on Facebook, bloggers, and for "development accounts" on Twitter, the complaint says. Prigozhin has been dubbed "Putin's cook" by Russian media because his catering business has organized banquets for Russian President Vladimir Putin and other senior political figures. He has been hit with sanctions by the U.S. government. The Office of the Director of National Intelligence, Justice Department, FBI and Department of Homeland Security issued a joint statement on Friday saying they did not have any evidence that anyone went far enough to prevent voting or change vote counts. 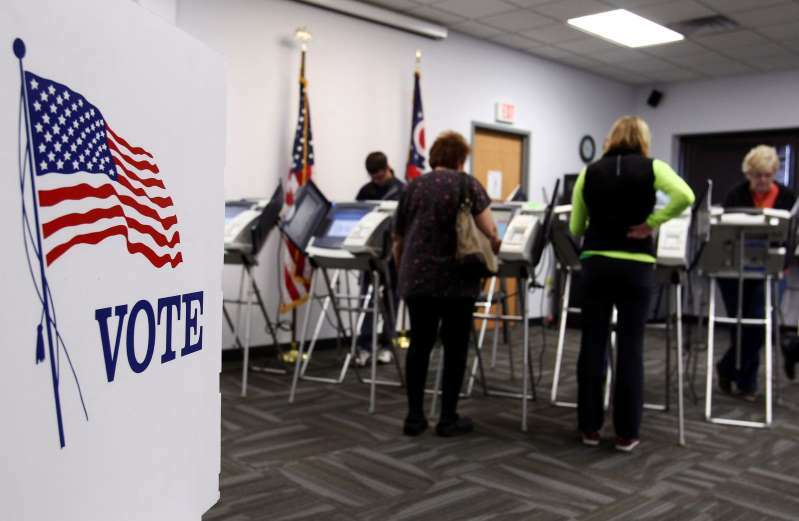 Some state and local governments, which run polling sites, have reported attempts to access their networks, but officials were able to "prevent access or quickly mitigate these attempts," the statement said.